VisitScotland and Current Archaeology are offering you the chance to win this fantastic prize for 2 people, including ferry travel to Orkney with NorthLink Ferries, 5 nights’ accommodation in a 4-star renovated mill, free entry to historic sites, and a personal day-tour with your own expert guide. Whether you are visiting Orkney for the first time or making a return trip, what better year to visit than 2014, the Year of Homecoming. Yes it is almost the time again when many people have problems with gulls. There are a few things you can do and some you cannot. If you do some of the things mentioned then you might save yourself another seaosn of nuisance. Since egg laying will be going on soon take your actions now. Despite the celebrations after Craig Shearer opens Academy's account with a well-taken strike the Scorries effort ended in only that goal with Nairn winning 2 - 1. BAR a couple of near goal-scoring opportunities, one at each end, it looked as if the match was destined to be a dour slog until Wick broke the deadlock just before the break. Craig Shearer's long range rocket gave Nairn keeper Callum Donaldson no chance and set the home side up with an advantageous lead which brought the game to life. Latest news on the Caithness economy. Take look at Noel Donaldson's selection of items from the local paper. Blue door Cafe, Thurso Caravan Site. Thurso High Workshop. Inviting all parents, guardians and siblings to a community event. on Tuesday 1st April from 4.30 - 6.30pm at Thurso High. The festival will run at Caithness Horizons in May to October. A RARE PAINTING showing musicians in the "higgledy piggledy" streets of a Caithness town by LS Lowry sold at auction last night for £842,000. Street Musicians depicts Lowry's trademark matchstick figures and dogs in Shore Street, Thurso. THE last of the D.E. Shoes sign that has advertised one of Wick's oldest shops, certainly to have spent its life in the same location, disappears. Nostalgia won't help breathe new life into the town centre but a new business will. As the new, brightly-coloured, livery displays, the Key Store will be opening for business shortly in Bridge Street and will hopefully bring with it the hope of better retail times to come. Transport Scotland are holding a public exhibition for the A9 Improvement at Berriedale Braes. The exhibition will take place between 12 and 7pm on the 2nd of April 2014 at Berriedale Church. A number of information boards will be on display, providing details of progress to date, and representatives from Transport Scotland and the design consultants will be on hand to answer any questions. 'Hazels & Yoles' - A Walk with Stories & Poems by Essie Stewart & George Gunn On the first day of British Summertime, join Essie Stewart and George Gunn on a leisurely walk in Dunbeath, punctuated with poems, stories and the odd bit of folk history. Starting at Dunbeath harbour, we'll walk up the river to the Broch, and then on to where the hazel trees of Neil Gunn's 'Highland River' fame cast their nuts for the salmon of wisdom. Essie will explain how her traveller family cut and prepared hazel boughs for their bough tent during their 'summer walks'. Writer George Gunn's work taps into the timelessness of Caithness's unique natural environment, drawing it and the history of the highlands into global perspective. Where does Dunbeath fit into that? Come and find out! the winter storms of the last two years took their toll on many east coast harbours and repairs have been going on ever since. Wick harbour wall is under repai forr the past couple of weeks and is ongoing. Just to let you know what is going on in the near future at the Castlehill Centre, Castletown. We have our final talk in the present series on Tuesday 15th April at 7:30pm in the Castlehill Centre. The talk is titled "Caithness History and How to exploit it" and will be given by Professor Donna Heddle. It should be a very good final talk of the series. Also, on Wednesday 23rd April at 7:30pm in the Castlehill Centre, we will be having our Annual General Meeting. The guest speaker will be Catherine Paterson who will be speaking about "Family History Research". A few items from the local paper. April sees Lyth Arts Centre Start its 38th season of drama, music and other work across the arts spectrum. In Caithness this is the place to see works of the highest quality presented in small and cosy theatre with the trimmings of cafe and bar. Becoming a member helps with the running costs and gives access to reductions on tickets. There are a breathtaking number of difficulties in running a theatre in the far north of Scotland wtih a small rural population to draw on for support. Amazingly Lyth Arts have provided a unique service in Caithness to its small audience and offer opportunities to see performances often only available at much bigger venues. To take the most advantage of what will be on offer take out a membership for only £20 or £30 for two people at the same address. Tickets for shows are usually about £12 but members gain a £2 discount. Members are also invited to the annual members evening which this year wil be held on 30th June. Rush.dance teaches Street & Breakdance, for both Boys & Girls from the age of 3 and up to adult. Classes are fun based whilst getting funky & learning the biggest dance craze around. We also run Competitive classes and Private lessons for anyone who wants to take it further and compete around the Scottish/world Street dance circuits. *NEW* tricks class is now running with kids learning Basic to advanced Gymnastic Style flips with the Breakdance style, This class is open to anyone who just want to flip around.. Street dance is everywhere on TV shows, TV adverts & music videos which shows how big it really is around the world. "Achnamoine could be a great opportunity for someone eager to start farming livestock and integrate this with some woodland too." In Autumn, applications will be posted on Forestry Commission Scotland's website with adverts appearing in the farming and national press. The Highland Council has once again been awarded Super Local Authority status by WWF for its commitment to Earth Hour. At 8.30pm on Saturday 29 March the people of Highland will join hundreds of millions across the globe in switching off their lights for 60 minutes in a graphic demonstration of support for people and wildlife threatened by climate change. When the lights switch off, it’s our planet’s time to shine. The Council has participated in Earth Hour each year since it began in 2008. A new £1 coin which will be the most secure coin in circulation in the world has been announced by the government. The new coin will have the same shape as the 12-sided three pence piece or ‘threepenny bit’. The current £1 coin has been in circulation for over thirty years - much longer than the normal life cycle of a modern British coin. Its technology is no longer suitable for a coin of its value, leaving it vulnerable to ever more sophisticated counterfeiters. The government will consult on the new coin in detail, focusing on the impacts on business, and expects to introduce it in 2017. A great chance to hear from an expert in comets that traverse the heavens. Head over to Castlehill Heritage Centre at Castletown on Friday 28th March at 7.00pm. Having discovered an incredible 82 comets and 474 asteroids Robert McNaught is the ideal person to talk about the great comets of recent times. 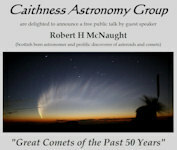 Come along and hear stories of discovery and what made these comets so memorable and spectacular for those who saw them. A North Highland College UHI student has embarked on a once in a lifetime work placement with Youth Enterprise CIC, a not-for-profit organisation founded in Stoke-on-Trent, which aims to raise the aspirations of young people across the UK. Julie Withers (21) from Thurso is studying on the Certificate in Business and Accounting Principles course, working towards her Higher Business qualification. Students undertaking the course are required to carry out a work experience placement and Julie has gone the extra mile to arrange the ambitious placement. SVQ Level 2 Professional Cookery Student Meganne Shearer is to travel to London for the national finals of the Future Chef competition. North Highland College student chef Meganne will compete against eleven other regional finalists of the Future Chef competition in London. Meganne and her course tutor Shirley Duffy and mentor for the competition will travel with her and a parent to compete at Westminster Kingsway College on the 24th March 2014. Camps Bar "2" have completed the league & cup double after defeating The Francis Street Club 6-4 in this seasons Rockwater Shield Final. Danny Innes and Ryan Carter got the final underway and both played some great pool, but it was Carter who edged it after escaping two snookers to give the Camps side an early lead. Ricky Hernandez and Michael Mackay helped put the club side 2-1 ahead, before a great display from Alec Thomson leveled the final at 2-2. Brian Munro and Graham Harper have played some great pool this season, and continued their form as they helped the Francis St Club take a 4-2 lead, and two frames away from victory. Launch event at Pultneytown Academy School Tonight at 6.30pm. 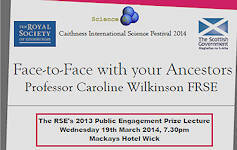 Face to Face With Your Ancestors - Wednesday 7.30pm Mackays hotel. 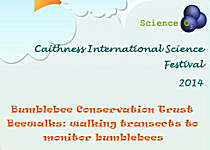 Bumblebees - Saturday 22nd March 11.00am - Assembly rooms. Registers of Scotland are inviting crofters and their families throughout Scotland to take part in a ‘click your croft’ photography competition. The competition, run in association with the Scottish Crofting Federation and the Crofting Commission, aims to find out more about what this traditional way of life means to crofters in 2014 and offers crofters the chance to win a Canon EOS 700D Digital SLR camera and accessories. Highland villages, towns and local communities will have the chance to be part of the excitement, celebrations and countdown to Scotland’s biggest-ever sporting and cultural festival – the Glasgow 2014 Commonwealth Games. Several new funding opportunities have today been added to the community section. The funding opportunities include arts, crafts, breakfast clubs, public spaces, sports facilities, alleviation of poverty for women and children and socially based digital technology. Pupils, parents and carers are being informed that the price of school meals will increase in Highland primary and secondary schools from Tuesday 22 April 2014 when pupils return from the Easter holidays and the new spring-summer menu starts. The price of a primary school two course traditional lunch will increase to £1.95 and for secondary schools to £2.15. Wick Harbour Authority is making progress with its plans to create a heavy-lift facility on the commercial quay at Wick harbour, with contractors Gunns Lybster Ltd having now begun the work. The project, and its associated dredging works, was supported by CNSRP partners HIE and NDA respectively and is the first of several proposed phases of work to position the harbour as a key player in the energy sector, with the current focus being on potential to benefit from the development of Offshore Wind in the Moray Firth. The Brough Archive, created from photographs, artefacts and memories from the local community, was initially collected by members of Brough Bay Association, all volunteers, as part of a project to renovate the Brough Harbour in 2011. They have since continued to update the digital archive, and last week launched an new database at Castlehill Heritage Centre where the public can view it. As well as hundreds of photographs, the archive includes stories from Danny Begg, many of which will make you smile. Did you know there was a ‘Wolf in Brough’‘ ? Snippets from the local paper in today's edition. HND Equine Students from The North Highland College UHI hosted the first ever indoor Puissance in Caithness last weekend. The ‘Jumping Extravaganza’ consisted of a Jumping Derby in the morning with a mixture of 10 showjumps and working hunter jumps. The afternoon saw riders of all levels compete - jumping over the puissance wall at the colleges newly built Land-based Centre of Excellence at Dale Farm, Halkirk. The student group organised the event as part of their Managing and Event class and had to use their entrepreneurial skills to raise a large sum of money in order for the event to run. Highlands’ ‘Brilliant Moments’ in UK VisitScotland tourism campaign' Brilliant moments in the Highlands are being promoted in VisitScotland’s latest UK tourism campaign. Highland Councillors has agreed to dedicate significant additional funding for services to older people and the vulnerable. The Council has agreed an extra £13.5 million over the next three financial years for NHS Highland to deliver adult care services on its behalf. The Highland Council has unanimously supported reducing the minimum age for voting in all elections to 16. The Council is also backing Highland Youth Voice’s “Votes[AT]16” campaign which calls for 16 and 17 year olds to get the vote. An action plan and vision of what a low carbon Highlands would be like by 2025 was welcomed by members of The Highland Council. Bruce Honeyman's Camps2 side have won the Wick & District Pool League division one championship for an eighth time, and their fifth in succession. The Camps Bar side secured the victory they required against Blackstairs to win the closest title race in the pool leagues history. The champions were two frames away from letting the title slip through their fingers, as they trailed a highly motivated Blackstairs team 4-2 after the singles. An outstanding clearance from Ryan Carter in frame seven, and great tactical play from Martin Hill and Alec Thomson in frame eight helped the Camps side level the match at 4-4. Norlin Playgroup has recently created a survey to advise people of what services Norlin are considering providing to the pre-school children in Wick and the surrounding areas. Norlin are considering providing various activities for children who are pre-school age. We are looking into providing a breakfast club for children enrolled at Norlin and also the provision of 'Kidz' Time' which would cover all kinds of messy play, story and song times, outdoor exploration (weather permitting) and lots of other activities at times to suit parents and possibly some weekend and holiday provision as well. All talented young musicians attending Highland Council schools are currently being invited to apply for membership of one of the Highland Young Musicians eight regional music groups which are run as an extension to the work of the Council’s Instrumental Tuition Service. These Groups continue to perform at the highest level and are in growing demand for performances in addition to those planned in their annual rehearsal and performance calendar. Membership for all the Groups is by audition and invitation after the annual Audition Day and members are drawn from all areas of Highland. The Audition Day, which usually sees over 300 young musicians applying for places, is a vital part of the process which ensures that whilst maximum participation is encouraged, high musical standards are also maintained. This years event will be held in Inverness on Saturday 22 March and applications need to be returned by Friday 14 March. Two Gamekeeping Modern Apprentice’s from the North Highland College UHI have been collecting numerous awards for their commitment to country sports and learning. Duncan Seaton (19) and Greg Sinclair (19) are both studying their SVQ Level 2 in Game and Wildlife Management at the college on a block release basis, spending the rest of their time working on Highland estates. Duncan Seaton was named Lantra Scotland’s prestigious Land-based and Aquaculture Learner of the Year Awards 2013 and fellow NHC student Greg Sinclair was runner up for this award. Duncan and Greg along with their families and tutors attended Lantra Scotland’s prestigious Land-based and Aquaculture Learner of the Year Awards 2013. One of Scotland’s most culturally significant species, Juniper has been lost from a quarter of areas where it was previously found. Take part in National Juniper Day to help record the health of juniper in the hills of Scotland. Plantlife Scotland are offering a few bottle of gin to the first people to complete the survey forms. In Caithness the Caithness Field Club has traced many juniper trees to check on how the plant is surviving in the far north. The survey carried out in 2007 gave details of plants at Ravenshill, Hill of Forss. Sold 34 cattle, 2 horses, 2 Llamas, 2 goats, 118 sheep, 554 lots of poultry, eggs and poultry equipment at their poultry, rare & traditional breeds of livestock sale. Important new guidance aimed at reducing the risk of fire in Scotland’s care homes was launched on Friday 7th March 2014. The revised information is designed to assist care home owners and staff to fulfil their fire safety duties. Around 60 delegates from across the UK gathered in Thurso this week for the “Research on Peatlands – Looking Forward” conference hosted by the Environmental Research Institute. The welcome address was given by Rob Gibson MSP, who highlighted opportunities for the Peatlands from a new £15M Scottish Government fund. Police in Caithness received a report of theft between 1000 and 1400 hours on Wednesday 05 March 2014, from the Scottish and Southern Energy windfarm site at Bettyhill. Thursday 13th March 2014 fro 1pm to 2pm. For anyone it can be a daunting task to work out what the best deals are online. Shortly at Pultneytown People's Project a couple of evenings might just save you money. Two sessions to help you beat the financial problems. Want help with a preventative debt approach rather than dealing with actual debt. Want help with switching energy providers or Better deals on Car/House/Life Insurances. Then this session is for you. Local MP John Thurso has welcomed the launch of a new online survey from Citizens Advice Scotland on unfair delivery charges. The survey is the first of its kind assessing the impact of high delivery charges on businesses in rural parts of Scotland - having previously targeted individual consumers only. While adults might name the Great Wall of China, Christ the Redeemer and Machu Picchu as the Wonders of the World; new research commissioned by Persil reveals exactly what makes the children of Scotland wide-eyed with amazement, as “LEGOLAND”, “Safari” and the “Harry Potter World” are named in the top Seven Wonders of the World by six to eleven year olds. Six short films havebeen produced using the EyeView camera created specifically for the Persil Kids Today Project to capture modern childhood through the eyes of a child. The films were also shot using a filming team with extensive experience of such projects. HIE has supported the smooth change-over for new investors at AGM Batteries and ABSL Power Solutions, which were previously owned by US-based multinational Enersys Inc.
We’re off of a brilliant start, with all our 170 MDF blank postcard size pieces of wood handed out or collected by locals from Caithness Horizons, St Fergus Art Gallery and Castlehill Heritage Centre in the first couple of weeks! We’re delighted with everyone’s enthusiasm to join in. Now they are getting arty and inspired by the SEA, wonderful artwork has started to be returned and I’ve been adding images to the blog as it arrives. There is quite a variety of styles. There is still plenty of time to get involved, but the sooner artwork is made and returned, the longer it will be admired on the fundraiser blog. HIGHLAND’S employers are among those backing a national work-based qualification to help young people secure employment. Companies across Scotland are offering work placements and assessing young people to help them achieve an SQA approved ‘Certificate of Work Readiness’. Employer demand for the qualification is high, as recent figures show that more than 1000 businesses across Scotland have shown their support by providing placements. Has your school council got a project it’s really proud of? Then don’t miss out on the Speaker’s School Council Awards 2014. Tell us about a school council project that has made a difference in your school or community for a chance to visit Parliament and meet the Rt. Hon John Bercow MP, Speaker of the House of Commons. It doesn’t matter whether your project is big or small, as long as it’s made a positive change. A free lecture in Inverness next month will explore how archaeology can play a part in supporting environmental sustainability. Professor Jane Downes will argue that looking at how people interacted with their environments in the past can give us valuable insights into how we can influence our environments in the future. Professor Downes is head of archaeology at the University of the Highlands and Islands and director of Orkney Research Centre for Archaeology. The lecture marks the fact she was made a Professor by the university last year and is part of the organisation’s public lecture series. Royal Navy divers have been brought in to deal with suspected unexploded ordnance in the sea on the north side of Wick Bay in Caithness. North MSP, Rhoda Grant has met with the Chair of Thurso Community Council, Bob Earnshaw at the Pentland Hotel last Friday (28th February) to discuss how best to support the campaign to establish a new postcode for Caithness and Sutherland. Chairman Bob Earnshaw, Cllr Roger Saxon and Rhoda Grant MSP agreed that the campaign should be carried forward and that Mr Earnshaw would raise the issue at the next meeting of the Association of Caithness Community Councils, which is due to take place on Tuesday 4th March. This workshop is designed to identify and break through these barriers. Tutor - Diane Nicholson Lunch is provided free of charge. The top three teams in Wick & District Pool League's Division One all recorded victories on Monday night, and are all in with a chance of winning the title with only one match remaining. It is the opportunity to forge a career somewhere unique. Skills Development Scotland, the national skills body supporting the people and businesses of Scotland, is holding an exciting careers event in Duthac Centre, Tain. The Skibo Careers Fair is an opportunity to learn about the employment opportunities available at the Carnegie Club, Skibo Castle, one of the world’s finest private, residential clubs. The Careers Fair, which takes place on March 12th, is open for students and schools from 10am until 1.30pm. Others can visit from 2.30 until 6pm. Scientists from across the UK will converge in Caithness this week to discuss the latest findings in peatland research. Organised by North Highland College UHI’s Environmental Research Institute (ERI), the ‘Research in the Flow Country’ conference has attracted over sixty attendees. The four-day event will highlight the latest research on the role of peatlands, including their part in regulating carbon and freshwater and their value to biodiversity. Covering about 4,000 Km2, the Flow Country of Caithness and Sutherland is believed to be the largest area of blanket bog in the world. Its diverse habitats support a wide range of globally significant wetland and moorland species. The conference, which takes place from Tuesday 4 to Friday 7 March in Thurso, will include a field visit to the RSPB reserve at Forsinard so delegates can see peatland restoration in action. For the past three years the Scottish CAB Service has been campaigning against unfair delivery charges for online deliveries. Citizens Advice Scotland’s report ‘The Postcode Penalty’ analysed over 3,000 customer complaints and over 500 online companies, uncovering a ‘postcode penalty’ that sees some Scots having to pay an average of nearly £19 extra when buying goods online....... Citizens Advice Scotland is keen to hear the views and experiences of small businesses who have encountered surcharges for deliveries based on location. Go to the survey to give your business views. Trading Standards officers with The Highland Council are warning consumers to be wary of paying upfront fees to companies claiming to be offering services connected with the Government’s “Green Deal” scheme. Problems with one particular company have highlighted the dangers of upfront fees. Sales representatives calling from Green Deal Rewards Ltd, based in Airdrie, carried out unsolicited marketing telephone calls to unsuspecting Highland householders. Sales staff from the company claimed that householders were entitled to funding for “free government home improvements” under the government’s ‘Green Deal’ scheme. A number of Highland consumers agreed to pay out a fee of £149.99 in advance, in order to obtain a survey on their home and an “Energy Performance Certificate” (or EPC). The North householders were then promised that an appointment would be made to carry out a ‘survey’. However, Trading Standards officers have since discovered that some consumers never received a visit from the company and other consumers, where a ‘survey’ had been carried on their home, are still waiting for their ‘EPC’. `Social Enterprise’ is an increasingly fundamental part of what makes the Highland tick and The Highland Council is looking for input to its strategy. A draft Social Enterprise Strategy for the Highlands covering the years 2014-2017 has been published for consultation by the Council and all interested parties are being asked to take part and help shape the future of this sector. A letter from St Joachim's church in Wick invited member of other churches to help organise the day of prayer in Caithness. Minimum commitment: 5 days a week. 9am to 5.15pm Duration: 3 months Period: Between June and September.